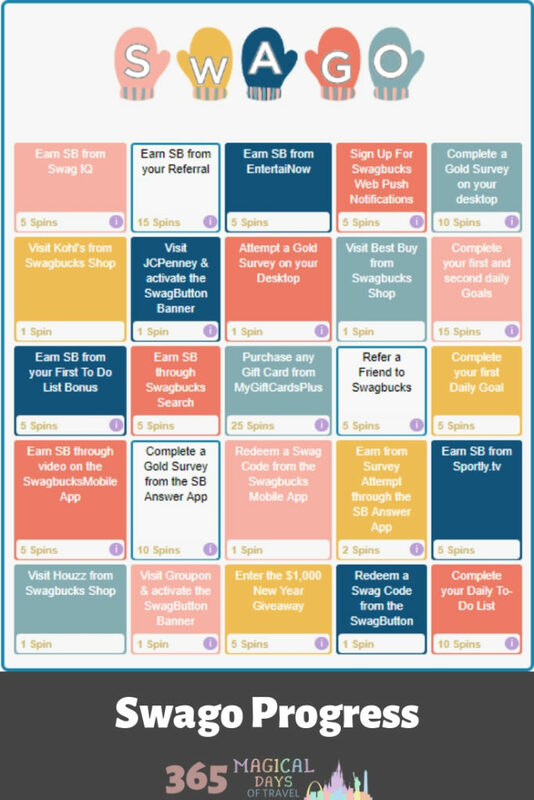 How are you coming along with your Swago board? I am stuck on surveys. Which I really hate. I realize that companies like to do surveys to get the pulse of their customers, but I don’t have much to say about most products. I don’t like to think of myself as a consumer, as I try to avoid most consumption, right? Besides, I get the sneaky feeling that a lot of surveys are really just ads in disguise. How I handle this situation is that I will attempt a few surveys each day until I hit my maximum disqualifications for points, which is five. Then I’ll try again the next day. Problem is, now I only have one more day. Perhaps I’ll just have to submit my board for the fifth column instead of the X.
Halfway through this game, I changed my strategy for spins as well. 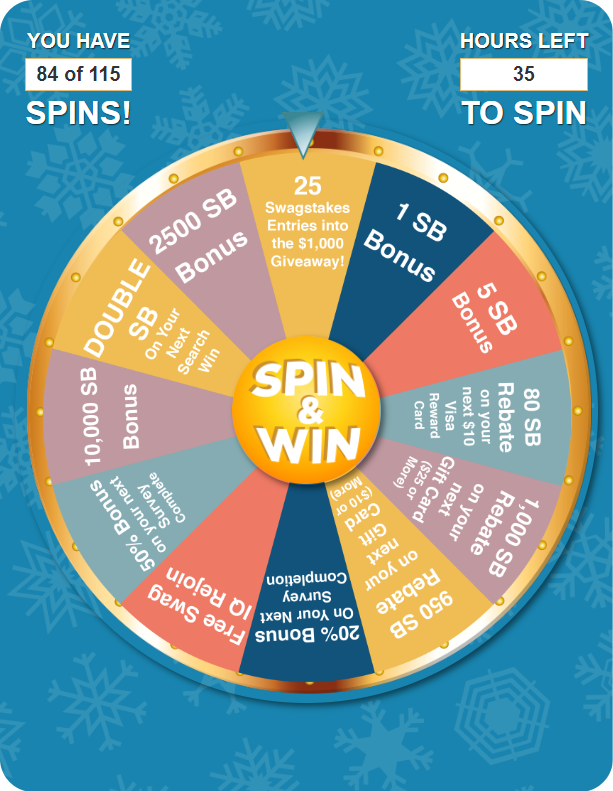 I realized that as soon as I had some survey bonuses built up in my account, it wasn’t really to my advantage to spin as I earned them anymore. 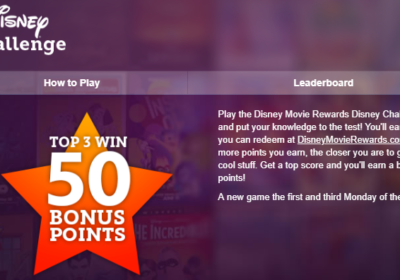 I have plenty of SwagIQ rejoins, and just enough survey bonuses to get me through this game. 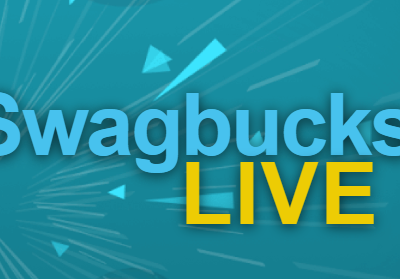 What I noticed is that the Swag Ups for rebates on redemptions expire within five days of earning, so if I earn them early in the game, I can’t use them as well as if I had waited until later when I will have more points. 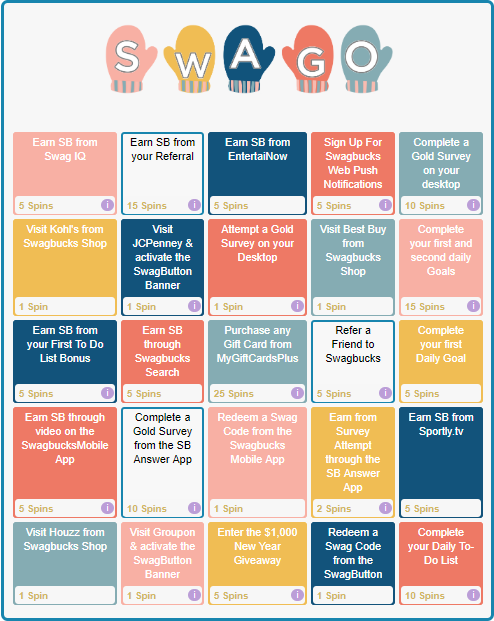 Another reason is that if I hold off until the last few days, the Swag Up won’t expire until after the first of the month when I can get my first $25 discounted gift card. Add the rebate on top of that, and now we’re talking value! 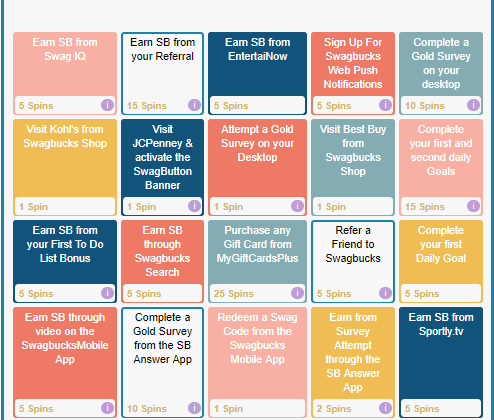 Don’t forget to hit the top “Submit” button next to your Swago board by 6pm PT Monday, January 28th. 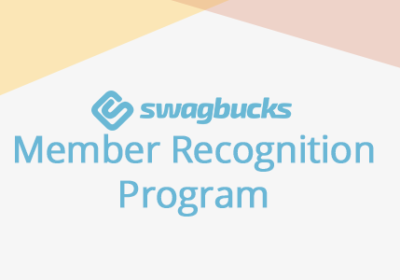 If you haven’t signed up for Swagbucks yet, and if you do so at any of the links in this post, you will get a sign up bonus, and I will get a referral bonus. Win-win!